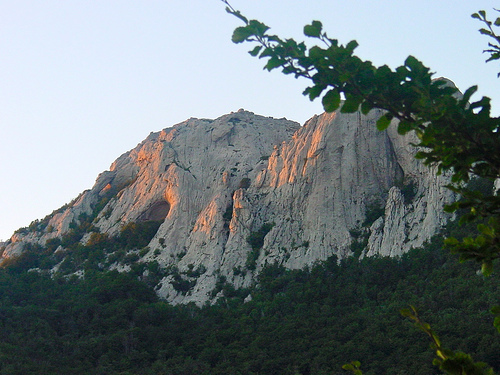 An accident at the Kita Gaćešina cave system in Croatia’s Velebit National Park has left a caver injured deep underground. Initial reports indicate that 29-year old Marijan Marovic was hurt while climbing, when an anchor plate failed and he fell. He was part of a 14 member research team that were about 520 meters (1,700 feet) below the surface when the incident occurred. A team of rescuers, including a doctor, were quickly flown to the pit from the Croatian capital city of Zagreb some 160 kilometers (100 miles) away in order to begin preparations for the complex rescue. Due to the depth and distances involved, as well as the presence of a number of tight areas that will have to be enlarged, the very complex rescue is expected to take several days. Currently there are already some 75 Croatian Mountain Rescue Service members from the surrounding areas involved in the effort. At more than 20 kilometers (12.4 miles) long, the Kita Gaćešina cave system is the longest in Croatia.